Older homes. They can be magical, intriguing, and beautiful all at once. But however charming they may be, there is no doubt that many older homes are plagued with problems. Whether you live in one of these older homes or a more modern home, water damage is a constant threat. It can wreak pure havoc on a home. Unfortunately, it doesn’t take too long to incur water damage—just one storm or an extra-long shower will do the trick. Sometimes the damage is like a sore thumb—it’s easy to spot. However, water damage often goes undetected, posing a risk to your home and family. This is especially important if you are moving into a new home or haven’t checked for water damage recently. Here are several ways to recognize the signs of water damage so you can be prepared to quickly respond if water damage in Indianapolis comes your way. Water Stains. This red flag is an obvious sign of water damage. Look for these discolored stains where water is used the most. Sinks, toilets, refrigerators, washing machines, and dishwashers are all common locations of the telltale water damage stains. If one of these stains suddenly pops up, it’s time to get a professional on the job. If you are looking into purchasing a new home, be cautious. Inquire into the issue further and be prepared to discuss remediation options with the homeowner. Buckling Floors and Walls. This is another obvious sign that marks deep water damage. Wrinkled or warped floorboards signify that water has absorbed into the flooring and caused swelling. The same applies to walls. This can happen over an extended period of time for countless reasons. Even a neglected orange juice spill can manifest itself in the form of buckled floors and walls. Crumbling Wood. Keep an eye out for crumbling wood and drywall around windows, baseboards, and doorways. Any type of degradation could indicate that the wood is slowly falling apart because of water infiltration. Musty odors. Trust your nose on this one. Although water damage is often hidden below flooring and behind walls, your nose can do the work for you. Many old homes have an old, musty smell, but in rooms with water damage, the smell is much more prominent. If you are unsure if water damage has occurred, contact Total Restoration in Indianapolis to find out. Leaking noises. Again, your senses are a powerful tool in detecting water damage. If you suspect a leak from your roof or a household appliance, simply listen closely for leaks and drips. This can help prevent serious problems in the future. Soggy drywall. Soggy drywall is one of the easy-to-spot signs of water damage in your home. Simple enough, right? If your walls are wet, you have water damage. Just be sure to take action immediately before more you have intensified hidden water damage on your plate. New paint. If you’re in the market for a new home, check for this subtle sign of damage. Some homeowners mistakenly try to paint over damaged areas of the house to hide water damage. If there is spotty paint on the walls in unusual places, don’t hesitate to ask why they painted those specific areas. It’s important to tread carefully when purchasing older homes. 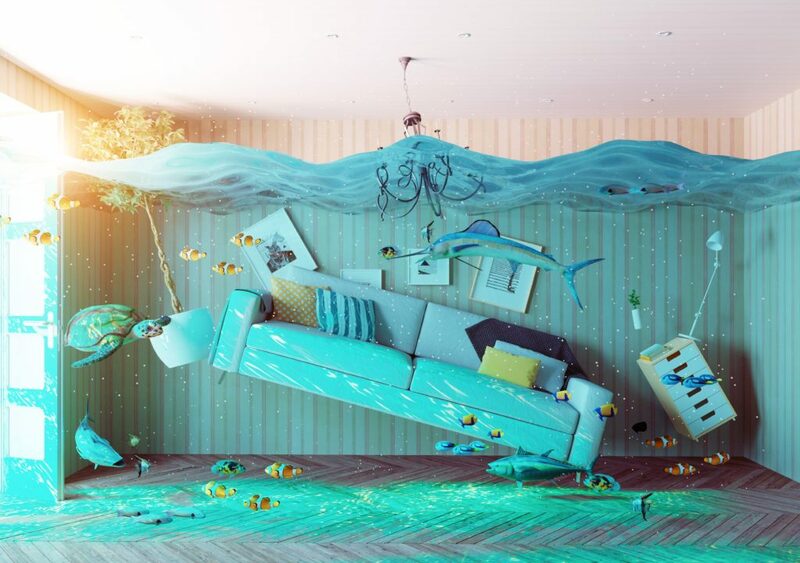 Whether you are looking to confirm the safety of your house or buy a new home entirely, checking regularly for signs of water damage is a sure way to keep a safe, clean home. If you have any questions or concerns about the water damage remediation process, feel free to contact Total Restoration in Indianapolis. We’d be happy to assist you!